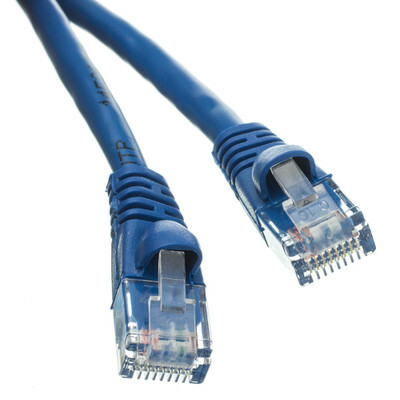 This 6-foot, Cat5e blue Ethernet patch cable with a snagless/molded boot will provide fast information transfer in your home or office. 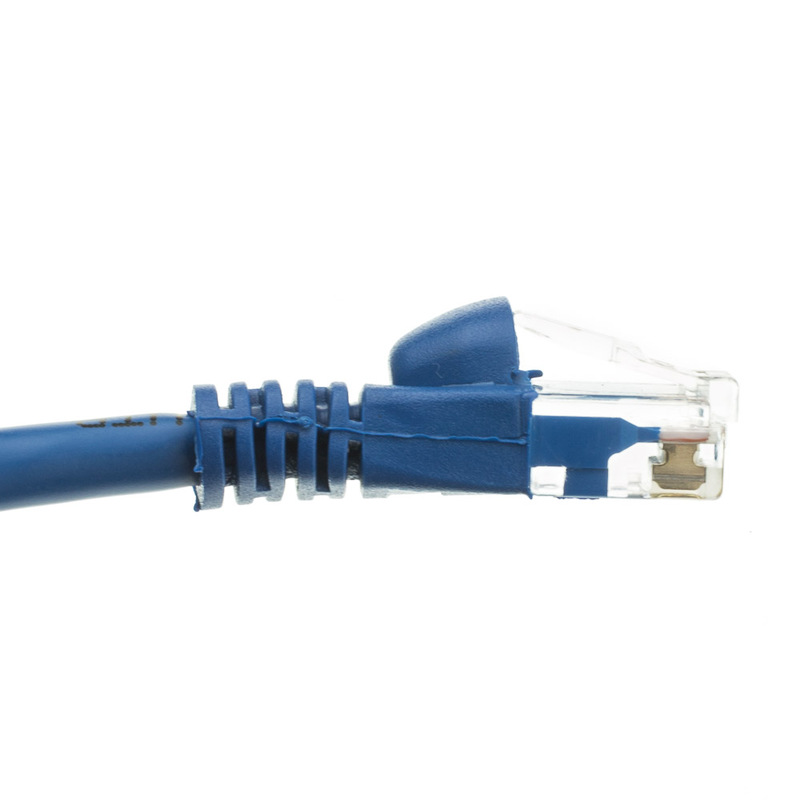 This UTP (unshielded twisted pair) 4P patch cable connects a Cat5e male plug to a Cat5e male plug and features a 24 AWG stranded bare copper conductor for excellent conductivity and quick, reliable data relay. 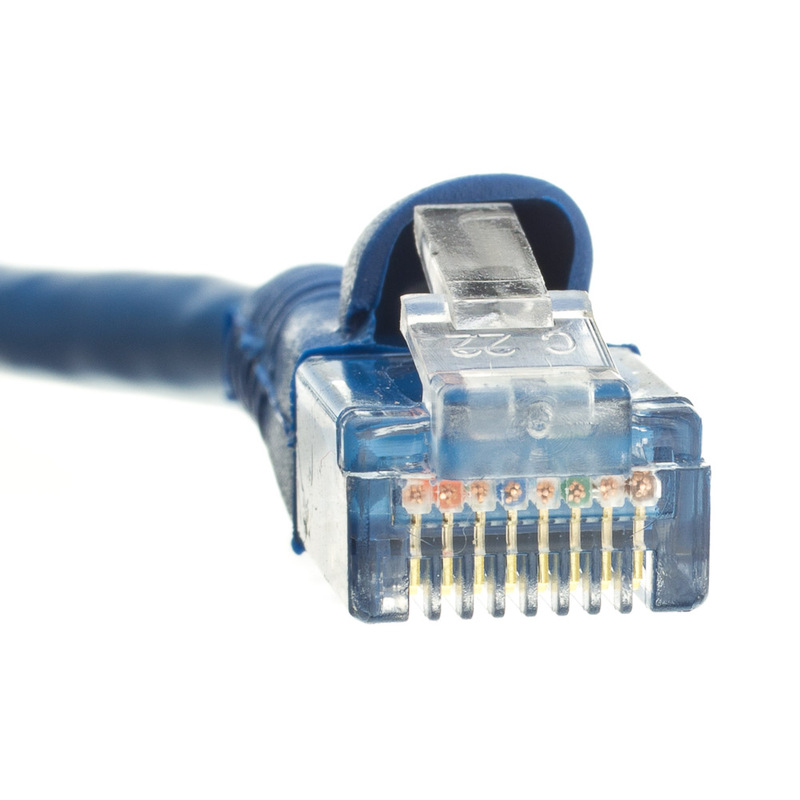 The RJ45 plug has gold connectors to prevent corrosion. 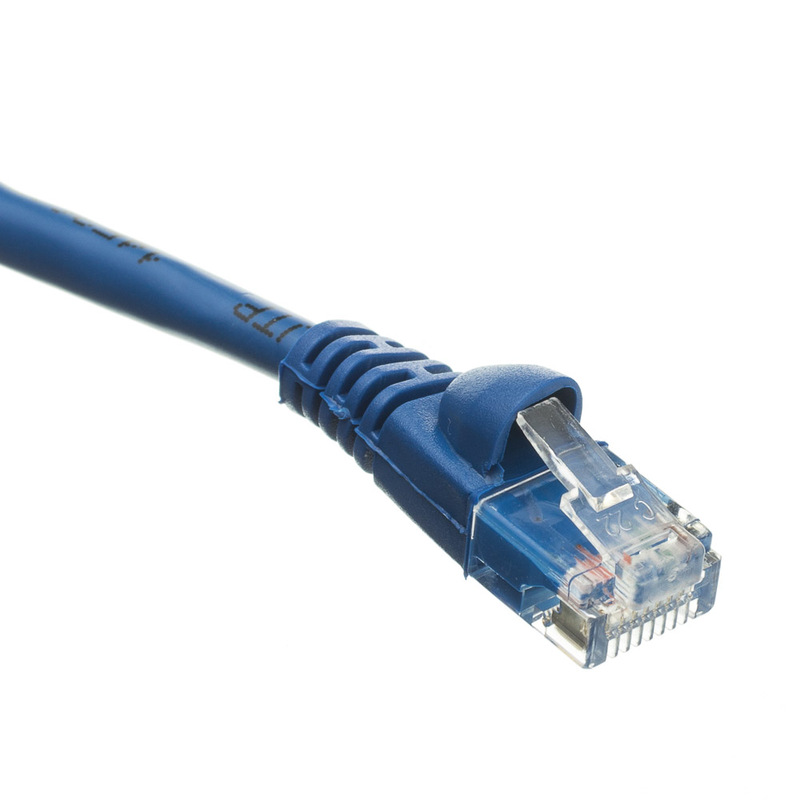 The outer jacket is made from quality, heavy-duty PVC and has a minimum thickness of 0.45 mm to provide protection for the internal conductors from outside, environmental hazards that might affect its performance.